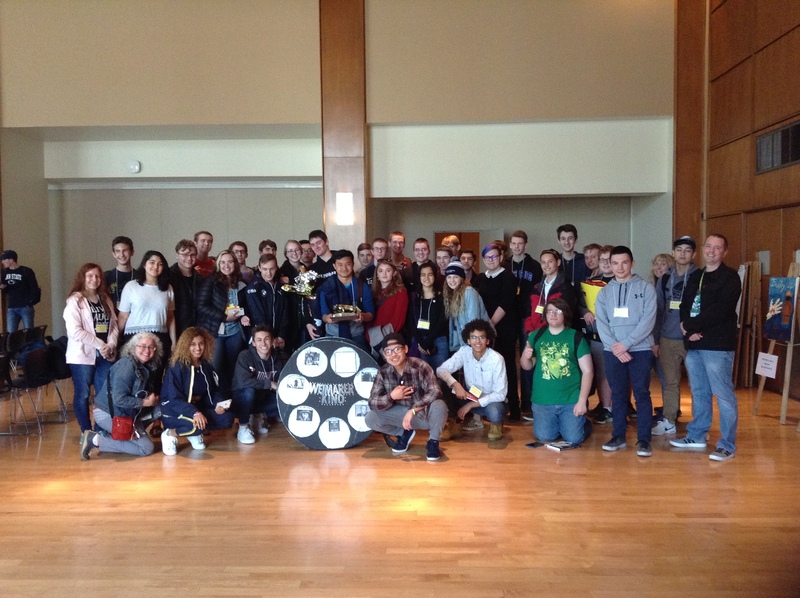 Congratulations to our German students who traveled to Penn State on April 10th for the annual German Day Competition. Emmaus placed 1st overall again (7 of 8 years!) and students from all 4 grade levels, including 3 LMMS 8th graders, participated in categories such as film/video, poster, geography, poetry recitation, spelling, and trivia. Other elective activities enjoyed by students included a campus tour, and sessions about Grimm’s Fairy Tales, Swiss folklore, German rock music, the Bundestag and exchange programs, and Kaffeeklatsch. Students also heard from several current undergrads who are pursuing studies majoring or minoring in German for their future career goals. PSU has a strong German and overall language and exchange program and we are privileged and honored to take students to this competition each year!